A comfortable and well equipped fishing kayak; the Feelfree Lure 11.5 is one of the best options available for Freshwater Kayak Angling. The Lure 11.5, brings new levels of comfort, stability and versatility to Kayak Fishing. 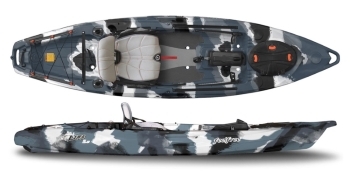 Primarily designed for Freshwater fishing and ideally suited for Lakes, Rivers and Estuaries; this is the ultimate kayak for lure and fly fishermen. The exceptional stability of the Lure means that standing and fishing is no problem, and for those that prefer to sit down; the innovative Gravity Seat with adjustable height allows you to adjust your position to suit the conditions perfectly. The Feelfree Gravity Seat offers a wide range of seat heights which can be adjusted with the simple function of a lever, allowing you to choose between 4 different positions over 10 inches of height adjustment. 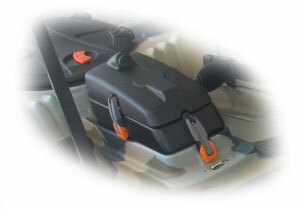 The seat can be adjusted whilst in or out of the kayak and it is also completely removable for ease of transportation. The Feelfree Lure comes equipped with a Large Bow hatch and storage area, rear storage tank well and a sealed centre storage hatch for those on the water essentials. The Lure also comes with two rear facing, flush mounted rod holders and uni-track mounting rails front and rear for easy fitting of more rod holders and accessories. Thanks to these superb features, the Feelfree Lure will open up those marks previously inaccessible on foot, or too shallow to access in a normal boat and is sure to be a big hit with any freshwater kayak angler. The Lure comes with a 'Wheel In The Keel' that makes getting this sit on kayak to and from the water a breeze. The wheel in the keel is designed for use on hard surfaces. It makes moving the Lure on slipways and from the garage to the driveway easier. The wheel isn’t designed for use on rough ground or sand, you will have to carry the kayak or use a trolley instead. In order to prolong the life of the wheel's axle you will need to occasionally wash off dirt and salt water. The Sonar and Electronic Pod (click for video) was designed to offer anglers the option to install devices such as fish finders and power supplies without having to drill holes into their kayak. Additionally, the entire pod can be removed as an all in one unit for convenient portability and security. For a more compact fishing boat with the gravity seat, have a look at the Feelfree Lure 10. 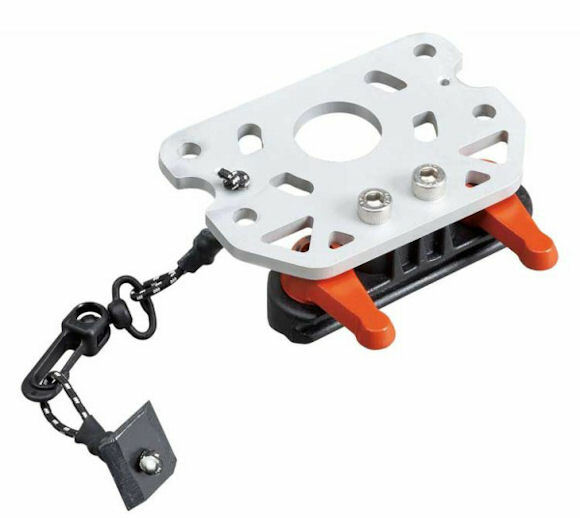 The uni-track mounting plate is a quick release base unit which slides into the rails on the Lure and can be used to mount accessories such as rod holders. We offer a delivery service for the Feelfree Lure 11.5 throughout the UK & Ireland to home and work addresses. If you are local to our shop in Hamworthy, Poole then we may be able to deliver a Feelfree Lure 11.5 with one of our own vehicles. For boats, this is free to most BH Postcodes - please call us on 01202 625256 to discuss your requirements. Buy a Feelfree Lure 11.5 online from our website and collect from our shop in Hamworthy, Poole or you can collect from any branch within the Canoe Shops Group. There is no cost associated with instore collection.